The NARA Youth Program is prevention oriented and family focused. Through group activities, events, and staff support, the Youth Program strives to strengthen the resiliency of our youth. 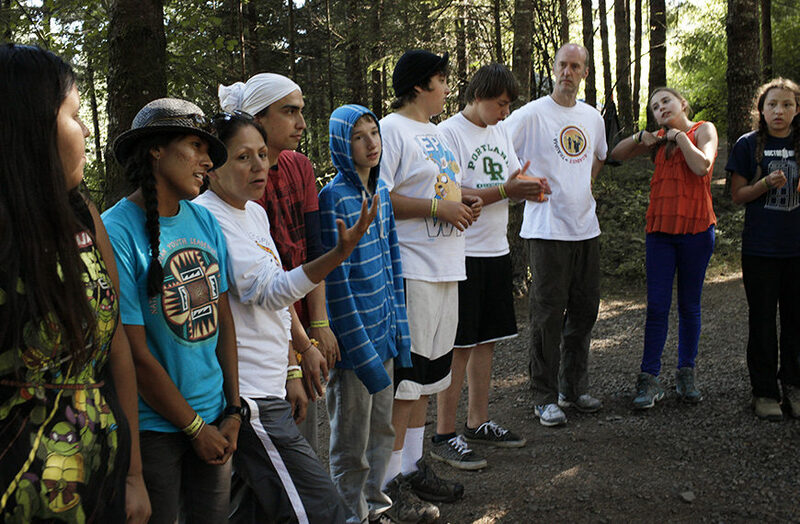 This program empowers youth to have a positive identity by teaching Native American/Alaska Native culture and values. Our Youth Program Staff are guided by our Cultural Director who trains and consults with staff on cultural competence and provides cultural programming for clients. Our staff includes our Youth Development Program Coordinator, Youth Program Coordinators, Engagement Specialist, Outreach worker, Support Staff, and a Certified Alcohol Drug Counselor (CADC). Youth Program staff are trained in Question-Persuade-Refer (QPR) and Applied Suicide Intervention Skills Training (ASIST) suicide prevention programs.